At Perfect Blend in Streatham, our mission is to bring the best of all worlds to the good people of SW16 and beyond... keep scrolling to find out what we're all about. It's the most important meal of the day. So take it seriously. We certainly do. 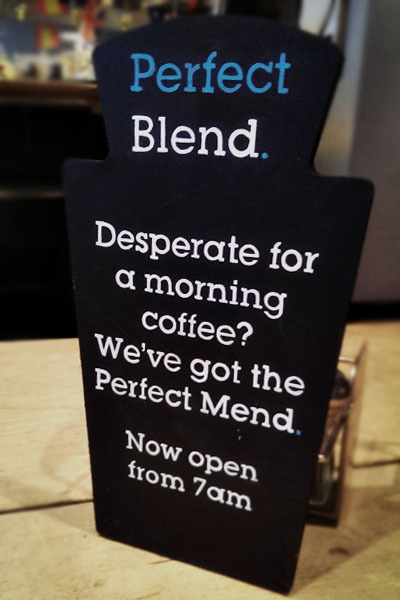 Whether you're looking for a weekend fry-up or freshly brewed coffee on the way to work, Perfect Blend is open from 8am with everything you need to get your day started. We serve lunchtime specials and everyday favourites - the best in Streatham we reckon. Whether you're after a quick snack or an excuse to get out of the office, we've got the perfect blend of flavours for any lunch occasion. Click here for our lunchtime menu. Your coffee looks lonely. All on its own with just a splash of milk or a spoon of sugar for company. But all is not lost. Because we serve cakes. And coffee loves cake. Almost as much as you do. At Perfect Blend we take your favourites seriously. Our loose leaf teas come in a proper pot for a proper cup in a range of distinctive flavours. 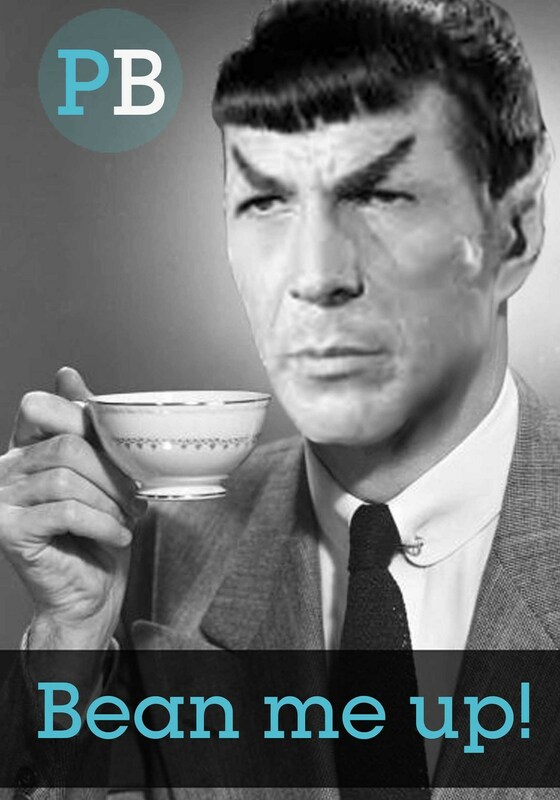 Go on... give teas a chance. Click here to take a look at our hot and cold cafe menu. A range of perfect steaks, burgers and salads along with changing daily specials that will keep even the most ardent hunger at bay. So: less time reading menus, more time eating perfect dishes. Everything is cooked to order just how you like it. And the cutlery comes free of charge. Click here to view our dinner menu. Oh... and have you seen these? They're desserts. We serve them so that you can eat them. So that you can destroy them! And, if you must, the second spoon's free. Click here to take a look at our delicious desserts menus. If you're looking for a stand-out drinking venue in Streatham then Perfect Blend is the ideal choice. From classic cocktails, craft gins to exclusive beers, quiet weeknights or much louder weekends, we've got it covered. 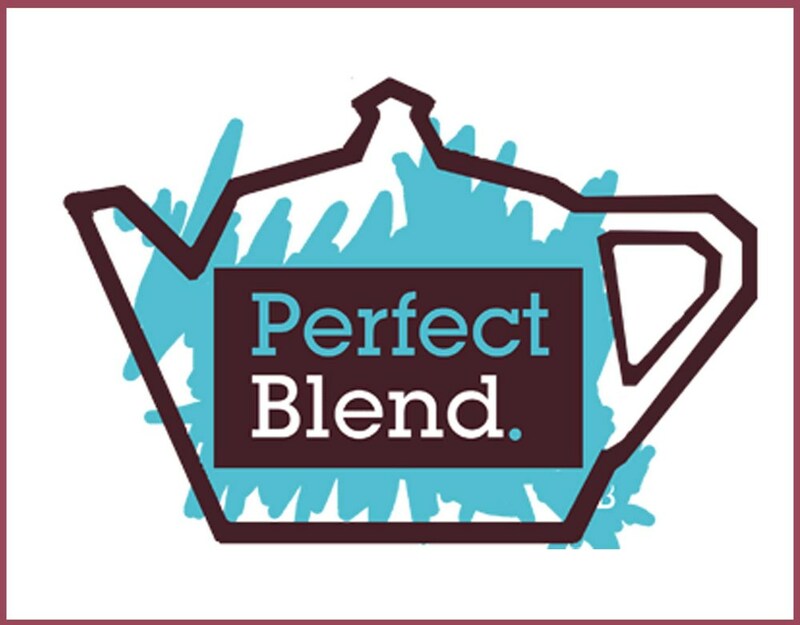 Click here for upcoming events at Perfect Blend. At Perfect Blend in Streatham, our mission is to bring the best of all worlds to the good people of SW16 and beyond. In fact, we’ve been a fixture on Streatham Hill for ten years now. And as staunch residents of this brilliant little corner of London, we’re committed to supporting local businesses and celebrating all things Streatham. Take Pheobe (she's the statue in the picture), who we inherited from the previous tenants and celebrates her 70th birthday this year. Or our fruit and veg, which is provided by Ken round the corner (how's that for food miles!). Keep it local: that's our motto. Because whether it's an early morning coffee on the way to work, a burger in the evening or a few pints of our exclusive St. Reatham beers, we've got it covered from first thing to happy hour. Click here to find out what people are saying about us... or give us a call to find out more. Try our candy vodkas 'distilled' on site, or a pint of our very own St.Reatham Beer.